I am so grateful to work with wonderful clients on a daily basis and be part of their transformation and journey. The below email I received recently from Kate is testament to what we can all achieve with the right outlook, determination, spirit and motivation for change and success. 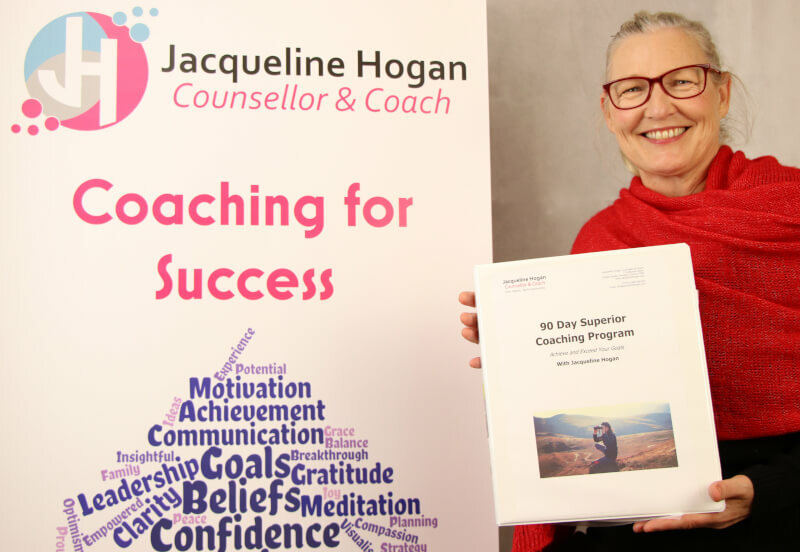 When I started working with Jacqui my anxiety was high and my life felt out of control. I have suffered depression and anxiety in the past for various reasons – deaths and relationship break ups, but this time I couldn’t pinpoint anything major. There were some significant changes to our daily routine at the beginning of this year with my son off to high school which I found quite distressing and sad as he was growing up and I felt I couldn’t protect him anymore. Besides that I couldn’t find a reason to complain. I decided to seek a counsellor so I rang Jacqui, one of the first things she said when she found out my age was Menopause. “Oh yes” I said, that might explain crying all the time for no apparent reason and fearing everything. So I began the 90 day program with Jacqui, and within a few weeks I was feeling that I could take the reins again and steer the horse. I we went off the tracks a few times and nearly crashed but with the tools provided in the program I used those to avoid crashing and steered my way back onto the track. It wasn’t easy though, it took a lot of hard work mentally resisting old habits… If you have ever tried to give up a bad habit such as smoking then you will have some idea of the effort needed to change and it doesn’t happen instantly. The results however are worth the effort and nothing good comes easy. If it does it’s not likely to stay around for long. I usually meditate in the morning and the last thing at night. I look forward to the night meditation; it is extremely relaxing and sets me up for a peaceful sleep. I prefer to listen to the same audio over and over until it is ingrained in my subconscious, or an audio to suit how I am feeling. For example the ‘Body Scan and Anger Management’ one was great when I first started and it enabled me to start unpacking some of the negative thoughts I was having. The ‘Getting Unstuck’ audio was great towards the end of the program as it summarizes the whole program and after listening to it over and over I have the tools sitting in my subconscious which I can pull forward and use wherever I am and whenever I need. Now that I have finished the program my goal is for these tools to become part of me. The ‘Relaxation and Values’ audio is great for reminding me of how to keep this process going to not only use it when the negative thoughts creep up, but as a daily ritual to maintain a positive, contented life. Like maintenance on a car we have to put petrol in, check the oil and water in order to keep it running efficiently to get us from a to b, so too do I have to maintain these daily rituals. Spending time thinking about what I’m am grateful for. It may seem that this would not have much impact on how I’m feeling but it does. It brings forth positive things in my life and reminds me that there are always good things to focus on, you may just have to look deep to find them. 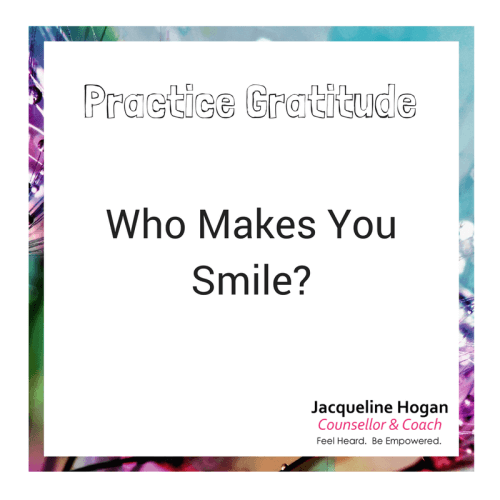 Focusing on gratitude allows you to put things into perspective and what I thought was causing me stress or anxiety may not be that bad and I could single out that issue and work on it. The same can be said for journaling. When there are so many negative thoughts going on in my head writing them down takes the burden and worry from my mind to the paper. If you organize and put things in their place you have a clear space to work with. Journaling doesn’t have to have a format or precision, just write – it doesn’t matter what comes out. Once it’s written down I found often that the worry I was having or the negative thoughts in my head really aren’t as bad as I thought. I can read my thoughts over and it allows me to deal with issues I need to and let go of the ones I don’t. I can also look back and see how far I have come which is satisfying, especially when most outcomes and goals mastered are intangible. Finally I didn’t enter into this program for relationship reasons however as a bonus I have learnt skills and have tools to use when I have issues with my husband and/or my not so far off teenage kids. My communication skills have gotten better and our family life although a work in progress is great. Thanks Jacqui for your expertise, support and kindness. If you’d like to achieve similar benefits to Kate in your life, don’t put it off any longer, Call Jacqui for a short chat and arrange your discovery session today.